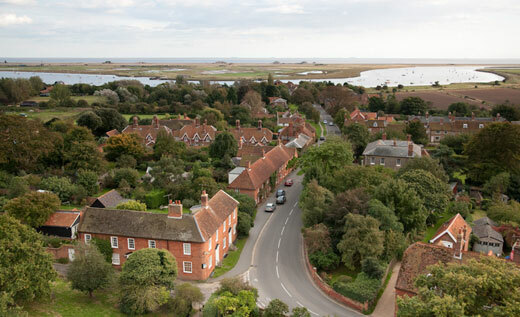 The community of Orford and Gedgrave today is a parish with an electoral roll of 650, situated on the River Ore, close to the Suffolk coast. 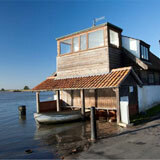 It is 22 miles from Ipswich and 11 miles from Woodbridge, which is the nearest town reached by public transport. The closest railway station is 9 miles away at Melton. The local economy depends increasingly on leisure and tourism, with a rising proportion of retired and elderly residents. Nevertheless, the community sustains a busy village store and sub-post office, a doctor’s surgery, a primary school, an hotel, two restaurants, an artisan bakery, two public houses and a garage. Several small businesses operate from the village, including a number of small commercial fishing operations and there is a recreation ground with public tennis courts, a pavilion and sports club. Many of the amenities, including the surgery and the sports facilities are the result of self-help activities planned and implemented by the residents of the village. Recent community driven initiatives have established low cost housing for younger people and the provision of Very Sheltered Accommodation for the Elderly.